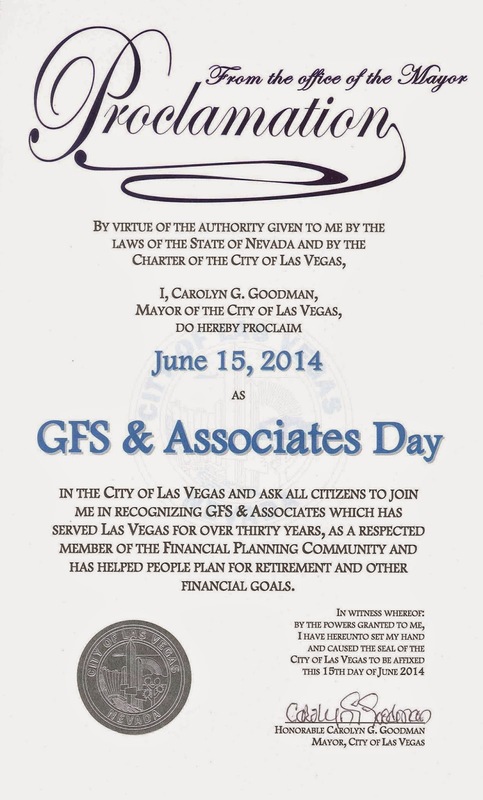 June 15, 2014 is GFS & Associates Day! Mayor Carolyn Goodman recently honored us for serving Las Vegas and the surrounding communities for over 30 years. We are very proud of this achievement and believe it shows our continued commitment to financial planning and our clients.